If you are a doctor, accountant or some other type of professional, you might not even be aware that you are covered by a disability insurance policy provided by your employer. Even if you know about your disability coverage or have purchased your own disability insurance, it is unlikely you have been able to take the time to navigate the intricate maze of your policy. Disability insurance can be a blessing for professionals, but it can also be a curse. On the one hand, most professionals are used to relatively high salaries and a comfortable standard of living, and their disability insurance policies can help them maintain this after they can no longer work due to a disability. However, most disability insurance policies for professionals are very complicated, and without the right legal help, a professional can be shorted on benefits or even denied completely after developing a disability. It is important to recognize that there is no such thing as a standard disability insurance policy. Policy terms can vary widely by carrier and by profession. That being said, there are some common sticking points in many insurance claims filed by professionals. Many disability insurance policies for professionals are “own-occupation” policies. That means these policies should provide a payout if a disability leaves the professional unable to work in his or her own occupation, even though alternative work would be a possibility. But, a significant question in a disability insurance dispute is whether the insured professional meets the definition of totally disabled in terms of his or her own profession. Depend on the policy terms, a total disability can be one that keeps the insured from performing every duty of the profession, or it can be a disability that only affects substantial and material duties inherent to the profession. 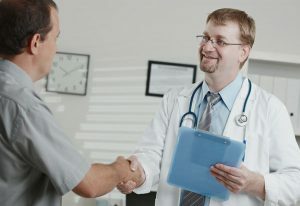 Specialists typically have policies that take their unique skills into account, i.e., a cardiologist would only have to be unable to perform the duties of a cardiologist to be considered disabled even if he or she could still perform the duties of a general practice physician. When a professional suffers a disability, his or her livelihood is on the line. It is always a good idea to consult with a Philadelphia insurance disability lawyer before filing a claim, or if it is too late for that, as soon as possible after a problem with a claim becomes apparent. Even if the insurance company initially grants benefits, they may try to discontinue them prematurely, as is often the case when a professional suffers from a long term mental disability. Get the most out of the insurance policy you paid for. Call Philadelphia insurance disability lawyers of Edelstein Martin & Nelson, LLP at 215-858-8440 today. You may also contact us online.